Wholistic Blend Herbal Calmer is a natural and healthy alternative to prescription calming medicine that can have harmful side effects. 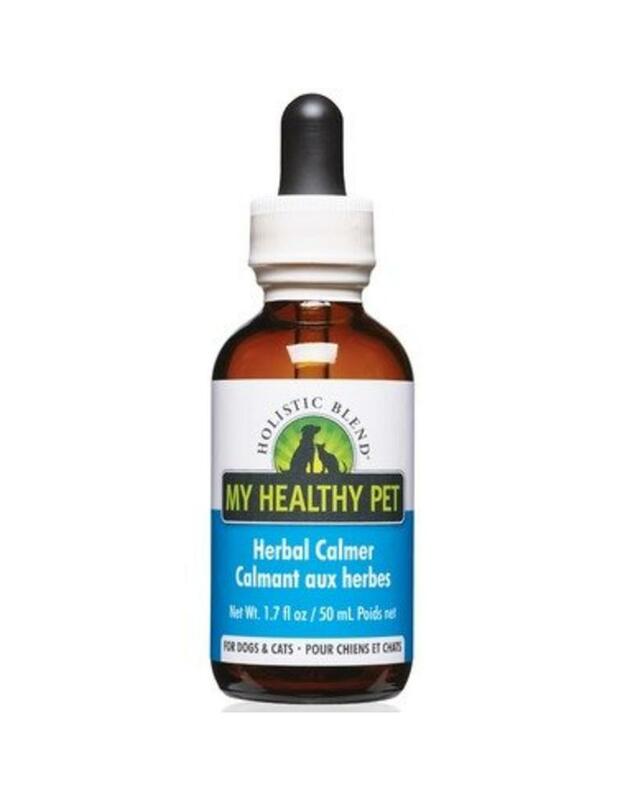 Wholistic Herbal Calmer is created with a blend of herbs used primarily to promote a calm and balanced state of mind in situations that would normally cause a pet stress or anxiety. The herbal blend helps calm and settle nerves without side effects such as drowsiness or sleepiness. Safe to use daily in both cats and dogs! Great for stressful events such as loud noises, thunderstorms, fireworks, traveling, vet visits, environmental changes and many more! Ingredients: Skullcap, Passion Flower, Chamomile, Lecithin, Vegetable Glycerin Based. Dosage instructions; Administer twice daily.